Take a moment to view some information about our prior fundraisers and events. Thanksgiving Day, 2017 Hale Kau Kau served 250 meals to the unsheltered and 90 meals to the Home Bound; and a great time was had by all. The second annual Stomp Out Hunger 5K Run and 1 Mile Walk was a huge success netting Hale Kau Kau nearly $6000.00 in donations, and seeing a community response of more than 200 people. Mahalo! 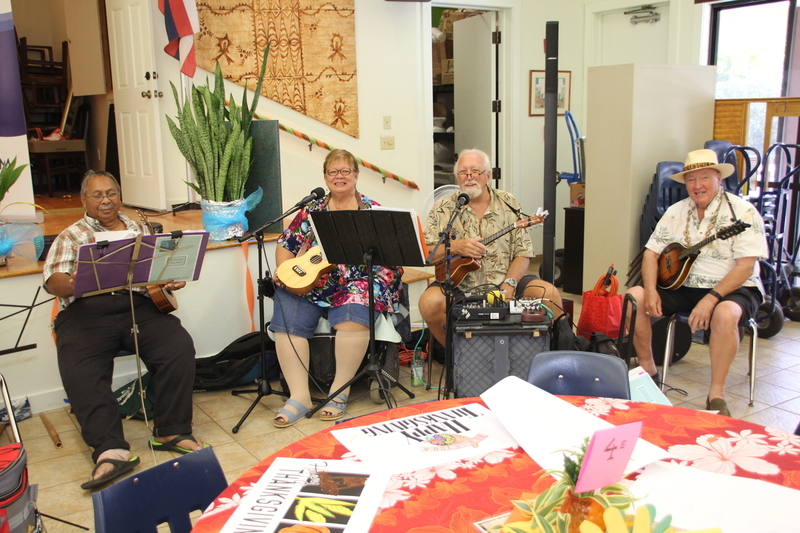 Santa supervised the serving of 275 meals; distributed presents to more than 30 children, and welcomed local Hawaiian entertainers, "The Plunketts" to this joyous Christmas Celebration.